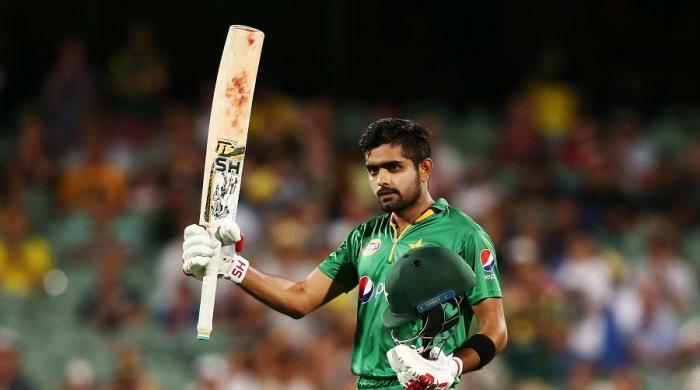 DUBAI: Pakistan middle-order batsman Babar Azam said Pakistan are favourite to win the ongoing Asia Cup 2018 tournament in the United Arab Emirates. Pakistan has clinched Asia Cup twice in its previous 13 editions. The young batsman rejected the impression that there would be extra-pressure on players while contesting against arch-rival India. Babar scored a crucial 46 off 52 balls against India in the Champions Trophy final. It was Azam's first international tournament. Babar says that he will enjoy playing against India, although, he believes that it would not be easy to defeat India even without world-class batsman Virat Kohli. Babar said that Pakistan’s contest against Hong Kong would not be as easy as it was being reported. He said that Pakistan have already made a strategy to play against each team in Asia Cup 2018.